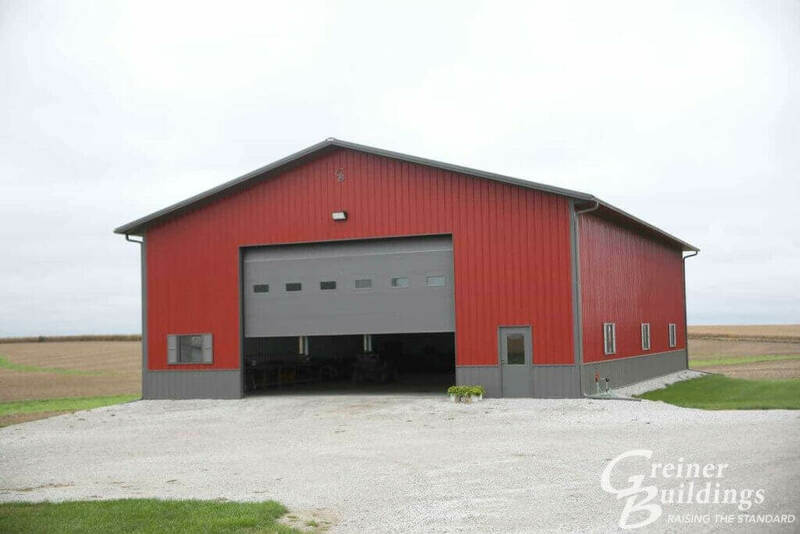 Martinsburg, ,Iowa Post Frame Pole Buildings | Greiner Buildings, Inc.
Martinsburg, Iowa Post Frame by Greiner Buildings, Inc.
Greiner Buildings is your number one post frame and pole barn builder in Martinsburg, Iowa and Keokuk County. We can construct anything from custom homes to agriculture buildings, horse stall barns, cattle buildings, hobby shops, storage units, machine sheds, equipment storage buildings, and more. For all of your steel building, hoop barn, or post frame building needs around Martinsburg, Iowa, call Greiner Buildings today. Our company has earned a fantastic reputation over the past 25 years for our quality structures and great customer service. We are experts in customization and can create any type of building that you can dream up. We have earned numerous awards for our specialty buildings. Take a look at our testimonials to see what our customers have to say about us! Trust Greiner for all of your building construction and repair needs in Martinsburg and the Keokuk County area. We offer free estimates to all potential clients in our service area. Call us today to get started. We look forward to working with you!